Skin type: Mainly for dry skin types. How to use: Apply morning and evening after cleansing but before your face cream. Formula: The ingredients include Candida Bombicola Ferment ie fermented glucose and a whole range of skin caring essential oils like sunflower seed oil, Sclerocarya Birrea / marula seed oil, rice bran oil, rosemary oil and other oils from a variety of flowers and plants. 99.8% natural oils. 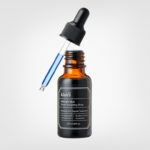 Good: The quality of this facial oil is high and the formula feels clean without unnecessary additives. 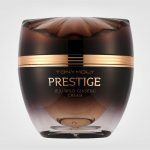 Although the texture is quite light and thin, it really makes a difference to the skin. A few drops is enough. Good absorption. 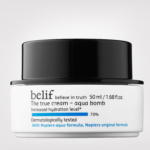 Can also be used in or under your foundation for extra moisture and to avoid the skin getting dehydrated. Bonair Blue Smoother Face Oil is pure luxury for both the skin and the soul. Bad: The price is a bit expensive. 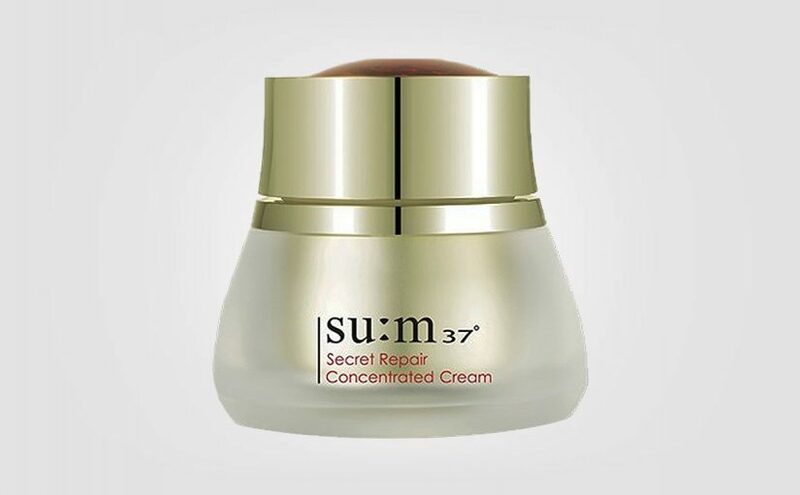 Result on the skin: The skin feels properly nourished, moisturized and soft after application. The skin becomes supple and resilient with a healthy glow. Moisturized feel like after using an oil, but without the skin feeling greasy or excessively shiny. Bonair Blue Smoother Face Oil really makes a difference for dry, lifeless and dull skin types. Here is my full review of Bonair Blue Smoother Face Oil, an absolutely wonderful Korean facial oil of high quality. 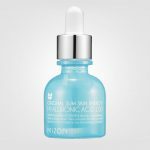 Bonair Blue Smoother Face Oil is a deeply nourishing Korean face oil mainly for dry skin types. The product contains a whole 99.8% natural oils from plants and is free from preservatives. 100% natural fragrance, ie no added perfume. Bonair Blue Smoother Face Oil doesn’t irritate the skin and is also suitable for red flushed skin and irritated skin, acne prone skin and troubled skin. 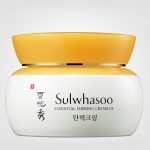 This is the first product I have ever tested from Bonair which is a Korean brand that specializes in high quality fermented oils. Bonair Blue Smoother Face Oil deeply hydrates and moisturizes the skin strengthening the skin’s moisture barrier. The bottle is incredibly stylish and inviting. This is pure luxury my friends! One tip is to apply facial oil on moist skin, then the skin can more easily absorb the nourishing ingredients. 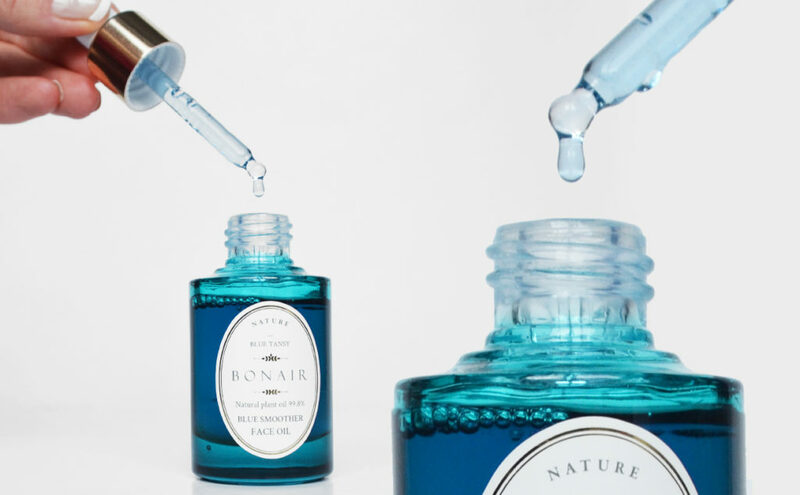 Bonair Blue Smoother Face Oil comes in a blue glass bottle with a pipette dropper. I like the gold details and judging the packaging, this product feels premium. The face oil itself has a quite thin texture, almost “watery” and not at all like a thick viscous oil. Although the face oil is light, you do feel an immediate difference in the skin as soon as the product has absorbed. The skin is instantly moisturized, nourished, soft and supple. Bonair Blue Smoother Face Oil is a deeply nourishing facial oil that doesn’t get heavy on the skin at all. Lightweight formula that is absorbed deeply into the skin without feeling greasy or excessively shiny. The product has a wonderful scent that reminds me of the SPA, a mixture of lovely essential oils. The scent is 100% natural, but can possibly become too much for sensitive ones who dislike scents in skin care. Well, I love it! 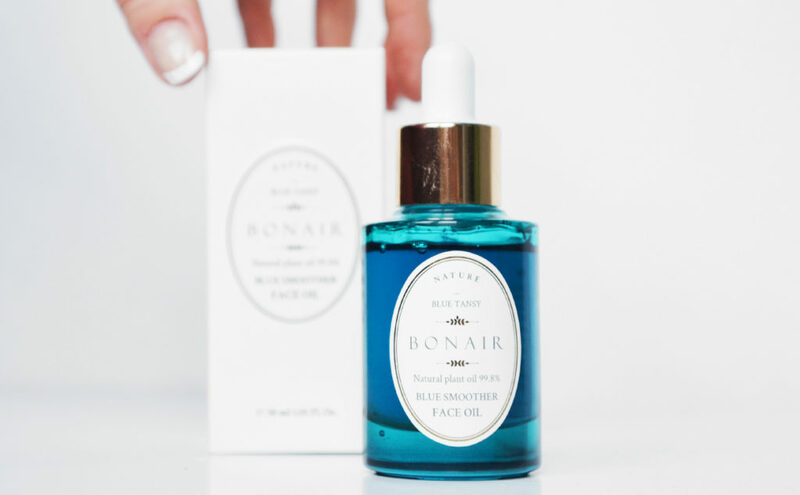 I simply fell in love with Bonair Blue Smoother Face Oil from the very start. 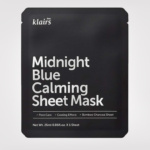 I love the packaging, the blue color and that the facial oil feels luxurious to use. I love the SPA type scent of medical herbs and essential oils. My skin loves Bonair Blue Smoother Face Oil as well and absorbs the product in a snap. 3-4 drops is just enough. 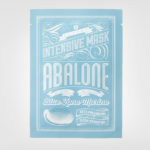 The skin is instantly nourished, soft and moisturized but without feeling greasy or excessively shiny. 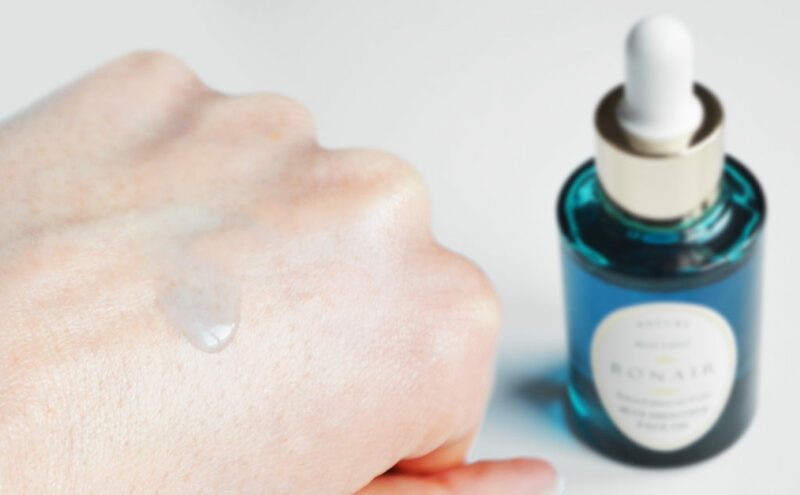 If you have dry skin, then don’t miss out on Bonair Blue Smoother Face Oil. 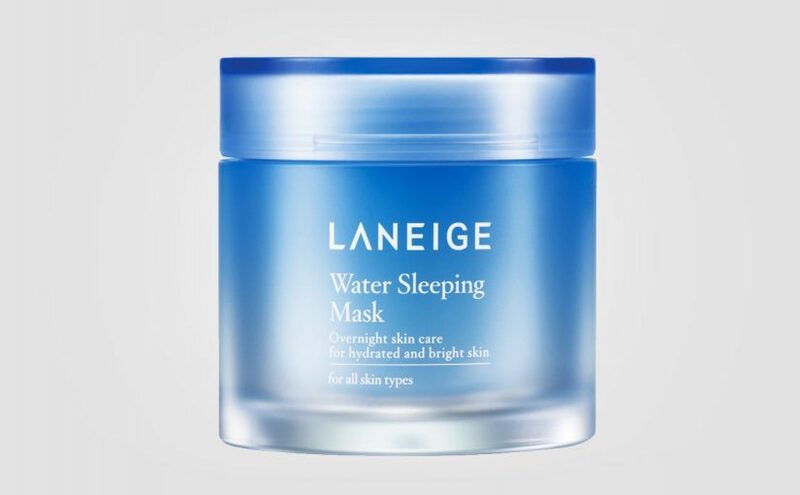 It can be used morning and night, or under your foundation for extra hydration and glow. This facial oil is absolutely wonderful and your skin will love it, I promise! Bonair Blue Smoother Face Oil is absolutely wonderful! 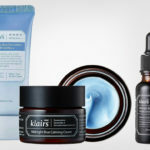 Deeply nourishing, moisturizing and hydrating. Good absorption and above all, a sense of luxury in everyday life. I would mainly recommend Bonair Blue Smoother Face Oil for normal and dry skin types. 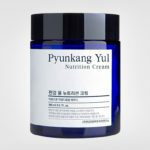 Also for combination skin and mature skin in need of something deeply nourishing and properly moisturizing. Bonair Blue Smoother Face Oil is also suitable for acne prone skin, red irritated skin and troubled skin as the formula is calming. 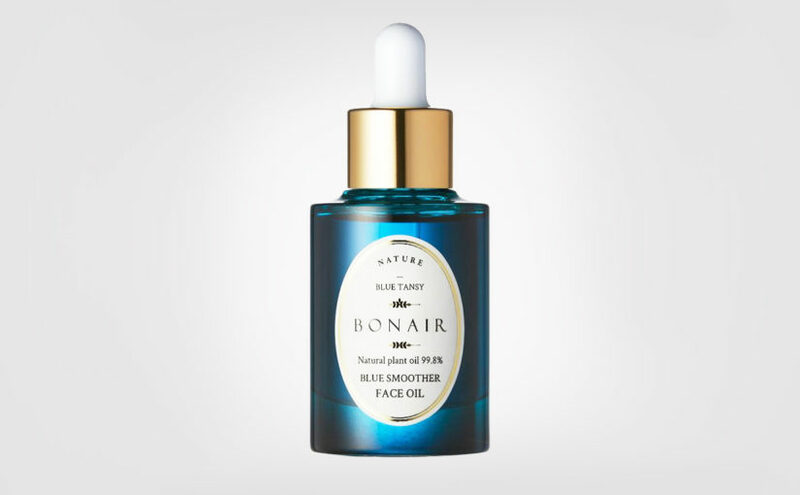 Bonair Blue Smoother Face Oil doesn’t clog the pores either. If you find that your foundation looks a bit dry on your skin, then apply Bonair Blue Smoother Face Oil before your foundation for a hydrating base. Your foundation will apply smoothly and stop from drying out your skin. Big plus for everything really! Plus for the packaging, the lux feel and the nourishing, moisturizing and softening effect on the skin. Plus for the pure formula without additives. Plus for the lovely scent of SPA and essential oils. 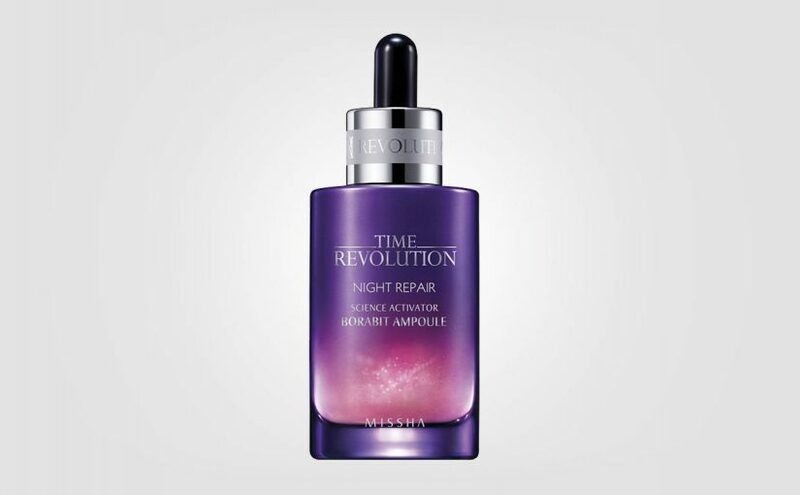 The product is nicely absorbed by the skin, and it really makes a difference. The skin is instantly nourished and properly moisturized. 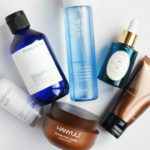 I just love Bonair Blue Smoother Face Oil in every way! The only negative I have to say is about the price which is around 50 euros / 30ml. Expensive but still comparable to many other facial oils in Europe. All over I feel this is a great product. It doesn’t get any better than this really. Bonair Blue Smoother Face Oil is highly recommended by me. 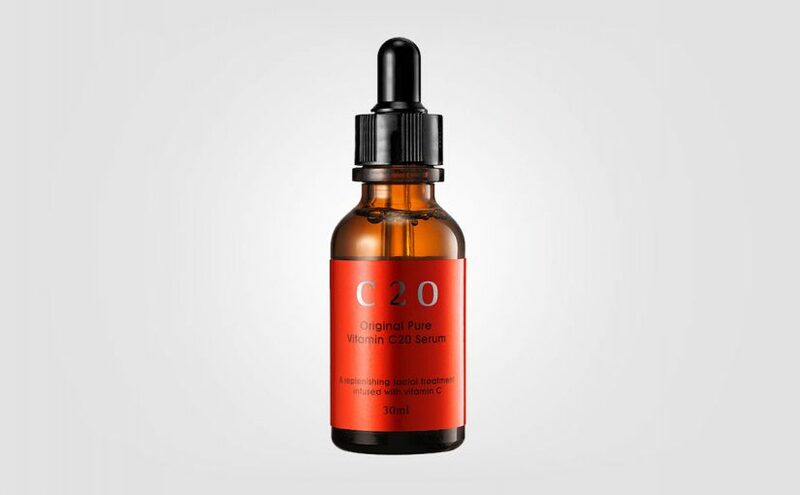 A straightforward and absolutely wonderful facial oil that really works. You should try it! If your skin feels hopelessly dry and dull then you need Bonair Blue Smoother Face Oil. It also works great under foundation. Your skin will thank you, I promise!